My favorite posts this week came from Melissa Kaylene‘s No-Bake Dove Fruit Trail Mix bars. I love healthy snacks and the Dove Fruit Trail Mix bars are easy to make and look delicious. Melissa also shares about an impromptu girl’s night within her post. I also liked The Pinterested Parent‘s Dixie Cup Easter Basket craft. My boys enjoy making gifts for their friends and this crafts is great for little hands that like giving. It has been a busy week for our family. It started with a behind-the-scenes tour of the new Earth Fare supermarket. The boys and I enjoyed learning about Earth Fare and their healthy food selections and savings for every household. I wrote a post about Earth Fare’s food philosophy and selections which includes a free printable and giveaway for a $5o Earth Fare gift card. My husband and I celebrated our 14th wedding anniversary on Tuesday with a family celebration at our favorite local restaurant- Tribeca Tavern followed by ice cream at Kilwins. On Wednesday, the boys and I packed up the car and drove to Grandma & Grandpa’s house near Charlotte. It was the perfect ending to our Spring/Track-out break as we played with Grandparents, cousins, Aunts and Uncle. I’m still organizing and recruiting people for Team Fit Triangle Mom for the Komen Race for the Cure held in Raleigh on June 13. My goal is to raise $3,000 by partnering with small local businesses and selling team t-shirts. If you are local, I would love for you to join the team as a runner or walker. Click Here to learn how to get involved. Grab this image & code! * Share up to 3 of your favorite blog posts you want to share. 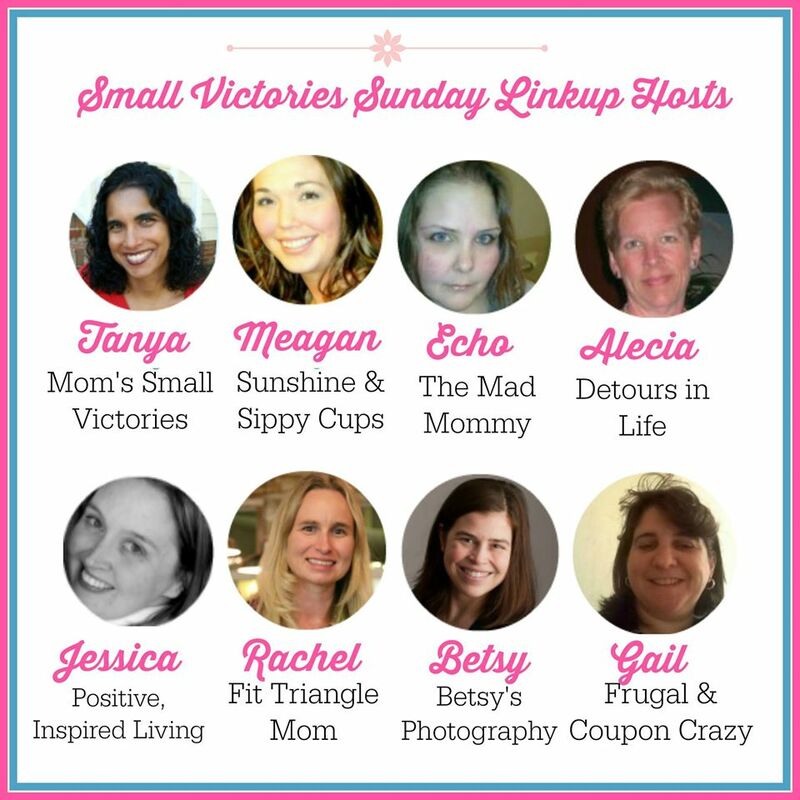 Enter your link below and let’s celebrate our small victories together! * Please visit at least 2 others for every link you enter. This linkup only works if we support one another, your visits are crucial to fellow participants. * By linking up, you are giving the hosts permission to share your post on their social media pages to let others know of your awesomeness too!